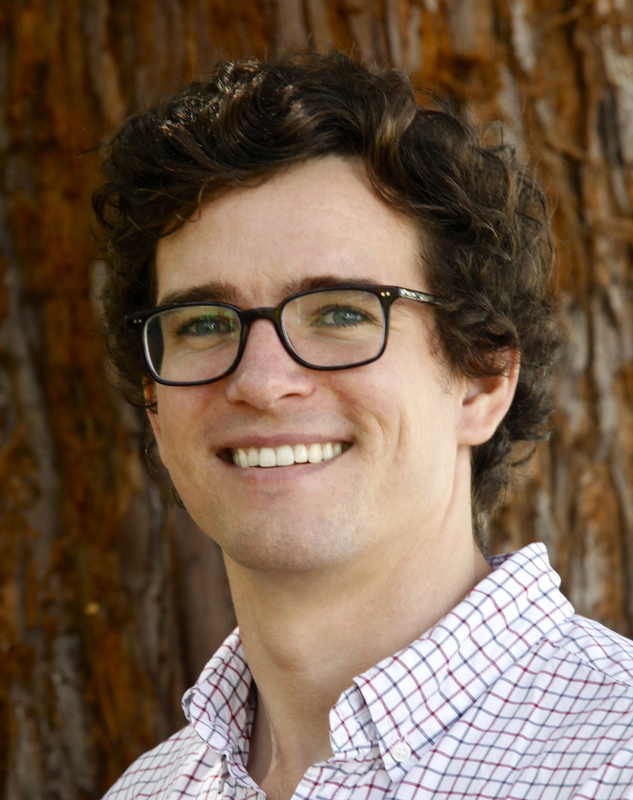 Jordan Amadio is chief resident in neurosurgery at Emory University and co-founder of NeuroLaunch, the world’s first neuroscience venture accelerator. By combining modern startup methods with rigorous neuroscience, his work with NeuroLaunch has resulted in 11 accelerated companies and the expansion of the program to multiple cities around the globe. Amadio is a graduate of Princeton University, where he received an honors degree in physics. He earned his doctor of medicine degree from Harvard Medical School and MIT, and was among the first cohort of physicians to graduate with a concurrent Masters in Business Administration (with Distinction) from Harvard Business School. Amadio is a 2014 recipient of the American Medical Association’s Excellence in Medicine Award for leadership among young physicians. In 2016, he was named Innovation Fellow for the Congress of Neurological Surgeons. Amadio's interests lie at the interface of emerging technologies and the nervous system, including neuromodulation, wearable computing, and neurosurgical devices. Donnel Baird is the founder of BlocPower, a clean energy startup building an engineering analytics and project finance platform for developing clean energy projects in American inner cities. Backed by Andreessen Horowitz and Kapor Capital, BlocPower is a "Benefits Corp" that generates energy bill savings, carbon emission reductions, financial returns to investors, public health impacts, and local employment opportunities. 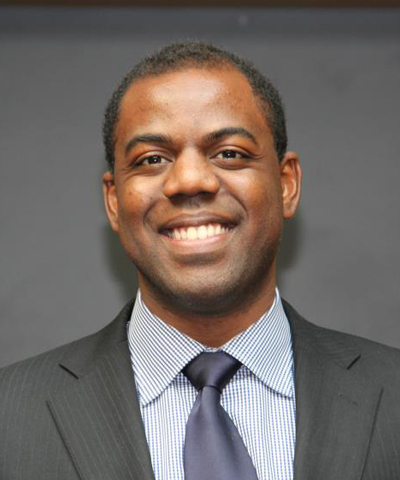 Baird is a graduate of Duke University and Columbia Business School, where he was a board of overseers fellow. Baird was a 2013 Clinton Global Initiative University participant. 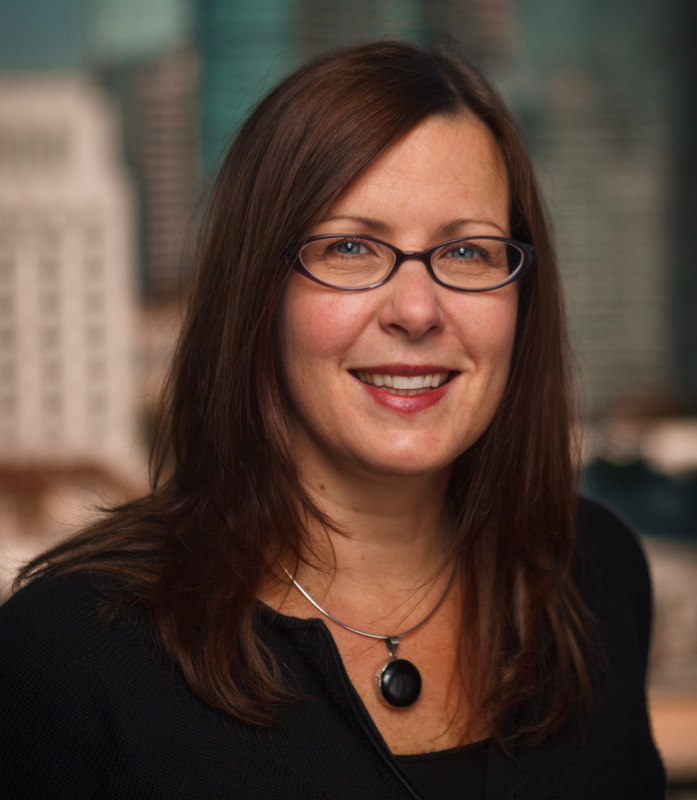 Tracy Bame serves as president of the Freeport-McMoRan Copper & Gold Foundation, the primary philanthropic vehicle of the company. The foundation provides grants for programs that promote education, economic development, environment, and health and wellness, with the goal of facilitating capacity building and sustainable community development. She also oversees governance and serves on the boards of the company’s other foundations abroad in Americas countries of operation. Bame also has responsibility for leading the company’s social responsibility and compliance programs in the Americas (including the company’s operating portfolio in the U.S., Chile, and Peru). She sets strategic direction and provides oversight for the function, including stakeholder engagement, social investment, social risk management and other sustainable development initiatives. Bill Basl was appointed as the director of AmeriCorps in June 2012 at the Corporation for National and Community Service. He served as the initial executive director of the Washington Commission for National and Community Service. In 1983, Basl founded the Washington Service Corps, the first statewide youth service initiative in the nation designed to address priority local education and human service’s needs. He has developed the Leadership Forum for National Service Executives at the University of Washington’s Evans School of Public Affairs, which offers graduate level courses designed to meet the needs of senior leaders in national service throughout the country. From 1970-72, Basl served as a VISTA Volunteer in Walla Walla, WA, helping migrant farm workers establish their own businesses. In Spokane, as a VISTA Volunteer Leader, he helped form a regional legal services network. In 2011 The White House named Basl a Champion of Change Service Innovator. 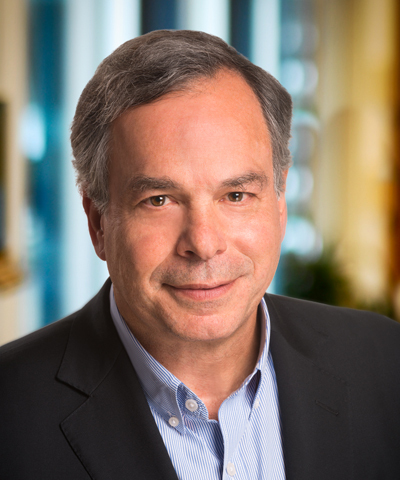 Jim Bildner is the chief executive officer at Draper Richards Kaplan Foundation, a global venture philanthropy firm investing in early stage social enterprises that are tackling some of the world’s most challenging problems. 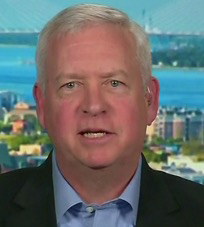 He is also an Adjunct Lecturer in public policy at the Harvard Kennedy School and a senior research fellow at the Hauser Institute for Civil Society and the Center for Public Leadership at Harvard University. Bildner is a trustee of the Kresge Foundation and chair of its Investment Committee and was the chair of their Social Innovative Capital Committee. Bildner serves on the board of multiple organizations including The Nonprofit Finance Fund, IDEO.org, EducationSuperHighway, SIRUM, The Empowerment Plan, and OpenBiome. In his board service, Bildner serves on the Investment Committees of boards with aggregate endowments in excess of $4B as well as a member of ten finance, investment and/or audit committees of these boards. Kamau Bobb is a program officer at the National Science Foundation in the Directorate for Computer & Information Science & Engineering. He is on rotation from Georgia Tech where he is a research scientist and one of the chief strategists for STEM education for the Georgia Tech Research Institute (GTRI). Prior to his current assignment he served as a liaison to the University System of Georgia (USG) and was the director of the USG system-wide STEM Initiative. Bobb has more than 10 years experience in STEM policy analysis and program implementation. Prior to joining the faculty at Georgia Tech, he was a science and technology policy analyst at SRI International where he conducted research on university strategic planning and STEM workforce analysis for clients in the United States and in the Middle East. Bobb holds a doctorate in science and technology policy from Georgia Tech and a masters, and bachelor's degrees in mechanical engineering from the University of California Berkeley. Michael Botticelli was sworn in as Director of National Drug Control Policy at the White House on February 11, 2015, after being unanimously confirmed by the Senate. 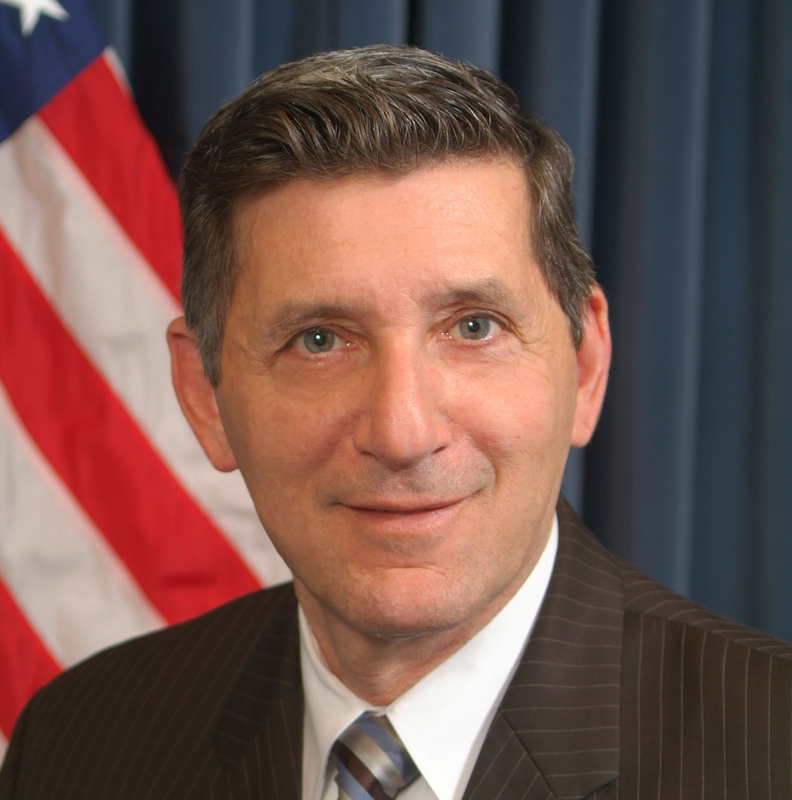 In his role, Botticelli leads the Obama Administration's drug policy efforts, which are based on a balanced public health and public safety approach. The Administration has advanced historic drug policy reforms and innovations in prevention, criminal justice, treatment, and recovery. In response to the national opioid epidemic, Botticelli has coordinated actions across the federal government to reduce prescription drug abuse, heroin use and related overdoses. These include supporting community-based prevention efforts; educating prescribers and the public about preventing prescription drug abuse; expanding use of the lifesaving overdose-reversal drug naloxone by law enforcement and other first responders; and increasing access to medication-assisted treatment and recovery support services to help individuals sustain their recovery from opioid use disorders. Botticelli has been in long-term recovery from a substance use disorder for more than 27 years. He has encouraged the millions of Americans in recovery today to make their voices heard and confront the stigma associated with substance use disorders, which often keeps individuals from seeking and receiving treatment. 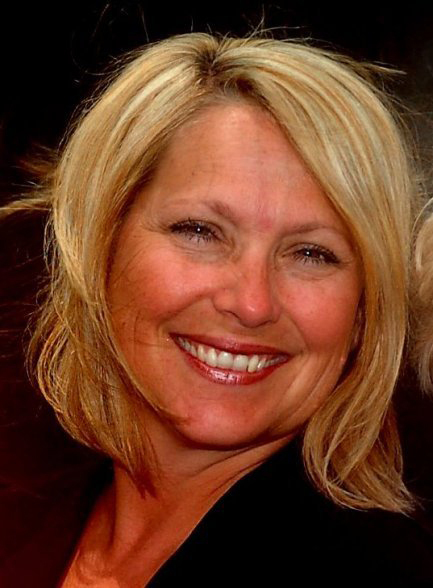 President and CEO, Ascentria Care Alliance, Inc.
Angela Bovill is president and CEO of Ascentria Care Alliance. She joined the organization in 2008 as chief financial officer, was named chief operating officer in 2011, and became president and CEO in January, 2013. Before joining Ascentria, Bovill was general manager of Digital Services for IDEXX Laboratories, where she worked for 17 years in business development, mergers and acquisitions, and turnarounds. While at IDEXX, she created and launched two new service lines, and turned around a new business acquisition from a major loss to the most profitable in the company. As president and CEO of Ascentria, Bovill has led a transformation of the nonprofit – streamlining, rebranding and changing the model of care to be more client-centered and partnership-focused. With a new vision, name, strategy and leadership team, Ascentria is leading the human services sector in innovation and holistic care. Paul Bowers is chairman, president and CEO of Georgia Power, the largest subsidiary of Southern Company. Prior to assuming his current role in 2011, Bowers served as chief financial officer of Southern Company from 2008 to 2010. Previously, he served in various senior executive leadership positions across Southern Company in Southern Company Generation, Southern Power and the company’s former U.K. subsidiary, where he was president and CEO of South Western Electricity LLC/Western Power Distribution. Bowers is the current chair of the Atlanta Committee for Progress, a member of the Federal Reserve Bank of Atlanta’s Energy Policy Council, the current chair of the Children’s Healthcare of Atlanta Foundation and serves on the Board of Regents of the University System of Georgia as well as multiple other boards throughout the state. Crystal Bridgeman is the senior director of workforce development programs for the Siemens Foundation, where she manages the STEM middle-skill Initiative focusing on closing the opportunity gap for young adults through STEM technical training and careers. Formerly, she served as senior education policy advisor for former U.S. senator Tom Harkin in his role as chairman of the senate committee on Health, Education, Labor and Pensions (HELP). During her tenure with the chairman, Bridgeman was the majority staff lead for the workforce innovation and opportunity act, signed into law by President Obama on July 22, 2014. From 2007 to 2013, Bridgeman managed similar policy and funding issues for U.S. Senator Patty Murray in her role as chairwoman of the senate HELP subcommittee on employment and workplace safety. Bridgeman earned her graduate degree in public administration at the University of North Carolina at Chapel Hill and her undergraduate degree at Mercer University. Recognized as one of Time magazine’s "50 Leaders for the Future," John Hope Bryant is an American entrepreneur, author, philanthropist, and prominent thought leader on economic empowerment and financial dignity. Bryant is the founder, chairman, and CEO of Operation HOPE, Inc.; chairman and CEO of Bryant Group Ventures, and co-founder of Global Dignity. Bryant currently serves on the U.S. President's Advisory Council on Financial Capability for Young Americans. 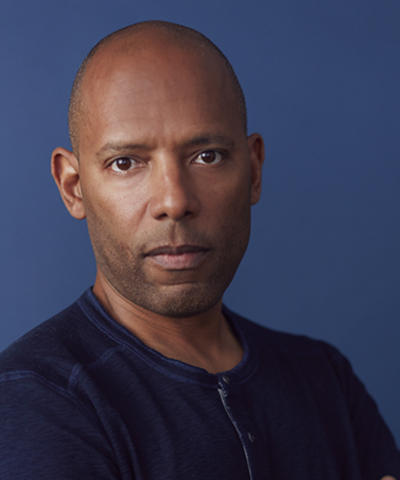 A member of the founding class of The Forum of Young Global Leaders, and founding member of Clinton Global Initiative, Bryant is a LinkedIn Influencer and Huffington Post contributor. Bryant has received over 500 awards and citations for his work, including, Oprah Winfrey’s Use Your Life Award. Bryant is the author of bestsellers "How the Poor Can Save Capitalism: Rebuilding the Path to the Middle Class," and "Love Leadership: The New Way to Lead in a Fear-Based World." 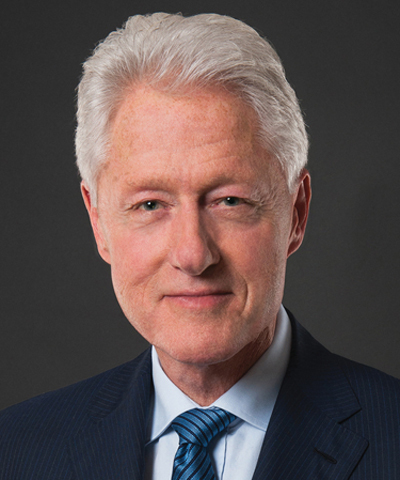 Elected president of the United States in 1992 and 1996, President Bill Clinton was the first Democratic president in six decades to be elected twice. Under his leadership, the United States enjoyed the strongest economy in a generation and the longest economic expansion in its history. His administration resulted in moving the nation from record deficits to record surpluses; the creation of over 22 million jobs; low levels of unemployment, poverty and crime; and the highest home ownership and college enrollment rates in history. He also increased investment in education, expanded access to technology, encouraged investment in underserved communities, protected the environment, and countered the threat of terrorism while promoting peace and strengthening democracy around the world. After leaving the White House, President Clinton founded the Clinton Foundation with the mission to strengthen the capacity of people in the U.S. and throughout the world to meet the challenges of global interdependence. Carolyn Colvin believes that there is no greater calling than public service. Putting her own retirement on hold, Colvin returned to public service at the request of the President in January 2011. Since February 2013, Colvin has served as acting commissioner. Colvin brings more than 30 years of executive leadership experience to the agency, having led numerous human service organizations at the state and municipal levels. Colvin also serves as a member of the Social Security Board of Trustees and a National Academy of Public Administration’s Fellow. Colvin oversees one of the largest agencies in the federal government, with over 60,000 employees nationwide plus 18,000 state employees who make medical determinations in the disability program. SSA is responsible for paying over $800B each year in monthly benefits to over 60M recipients. SSA is also responsible for maintaining the lifetime earnings records of over 165M workers. 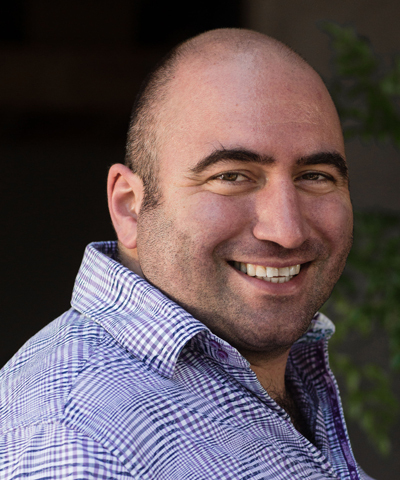 Jay Connolly is an entrepreneur and graduate of the Aging 2.0 Academy program. He founded Lift Hero to provide quality transportation for seniors like his grandmother. Lift Hero is on a mission to empower passengers and provide meaningful work for drivers. Before starting Lift Hero, Connolly was one of the first employees at Science Exchange, an online marketplace for scientific experiments. Connolly’s expertise includes server-side web development (including cloud infrastructure, API design and automated IVR phone systems); project management; and the Lean Startup methodology. Connolly holds a bachelor's degree from Harvard University, where he captained the varsity Water Polo team. Kevin J. Delaney is editor in chief and president of Quartz, the global business news site from Atlantic Media at qz.com. Delaney was a reporter at The Wall Street Journal for a decade, with that time split between postings in Paris and San Francisco. While covering internet companies such as Google, Twitter, and Facebook for the Journal, he became convinced that newspapers could do much more to ensure that good journalism thrives in the digital age. He was named managing editor of WSJ.com, where he led efforts that helped greatly expand the Journal’s online readership, and championed innovative journalism projects that went on to win prizes. Early in his career, Delaney was a reporter for SmartMoney Magazine and a TV producer in Montreal. He has a degree in history from Yale, is a member of the Council on Foreign Relations, and was the Hearst digital media professional-in-residence at Columbia University. Delaney was named Business Journalist of 2013 by the Talking Biz News media website. J. Alexander M. Douglas, Jr. ("Sandy") is president of Coca-Cola North America. Douglas joined the Coca-Cola Company in January 1988 as a district sales manager for the food service division of Coca-Cola USA, he held a variety of positions with increasing responsibility through 1994 when he was named vice president of Coca-Cola USA. He was appointed president of the North America retail division in 2000. In 2003, Douglas was appointed senior vice president and chief customer officer of the Coca-Cola Company where he led the company’s customer and commercial leadership organization. In 2006, he was appointed president of the Coca-Cola North America Group and in 2013 he was appointed senior vice president and global chief customer officer. Douglas serves on the boards of the American Beverage Association, the Grocery Manufacturers Association (“GMA”) and the Healthy Weight Commitment Foundation. He also serves on the charity leadership boards of the East Lake Foundation and Morehouse College. Barbara Dyer is president and CEO of The Hitachi Foundation and Senior Lecturer at MIT’s Sloan School of Management. Dyer shaped the foundation’s focus on business at the intersection of people and profits. The foundation's mission – to expand business practices that improve economic opportunities for low-wealth individuals and enhance long-term business value – has enabled the foundation to be an influential force in the broader fields shaping business in the 21st century. Her commitment to a culture of collaboration has resulted in major national philanthropic initiatives – including SOURCE: Solutions from Our Country’s Entrepreneurs; Jobs to Careers and the National Fund for Workforce Solutions, involving nearly 200 national, regional and local foundations. At MIT’s Sloan School of Management Dyer teaches management and is affiliated with the Institute for work and employment research (IWER). 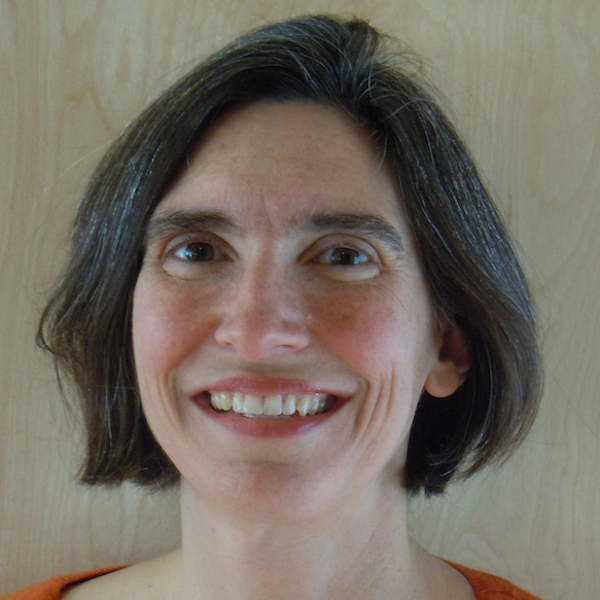 She also serves as a faculty member with the sustainability initiative and the healthcare group. Anthony Foxx became the 17th United States Secretary of Transportation on July 2, 2013. At the U.S. Department of Transportation, Foxx leads an agency with more than 55,000 employees and a budget exceeding $70 billion. DOT oversees air, maritime, and surface transportation, and the secretary’s primary goal is to ensure that America maintains the safest, most efficient transportation system in the world. In 2015, Foxx refocused the national dialogue about the future of transportation by releasing Beyond Traffic, a report examining the challenges facing America’s infrastructure over the next three decades. This draft framework has already influenced decisions by elected officials, planners, and stakeholders nationwide. Foxx has also energized DOT’s embrace of innovation to help solve transportation challenges and leveraged the resources of the Department to connect communities to economic opportunity. Foxx joined the U.S. Department of Transportation after serving as mayor of Charlotte, N.C.
Mona Hanna-Attisha is the director of Hurley Children's Hospital’s Pediatric Residency Program and assistant professor of Pediatrics and Human Development at Michigan State University's College of Human Medicine in Flint, Mich. With a background in environmental health, Hanna-Attisha completed medical school at Michigan State University, residency and chief residency at Children’s Hospital of Michigan, and public health training in health policy from the University of Michigan. 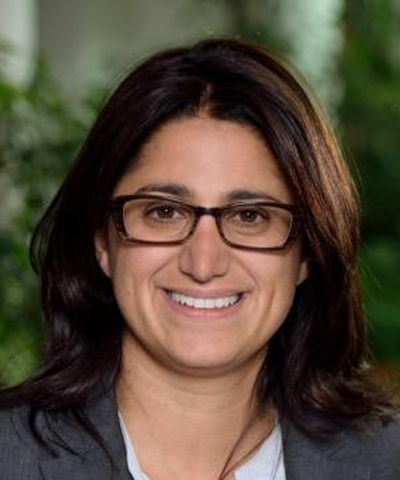 In addition to educating the next generation of physicians, Hanna-Attisha now directs the Michigan State University, and Hurley Children's Hospital Pediatric Public Health Initiative, an innovative and model public health program to research, monitor and mitigate the impact of the Flint water lead crisis. As the co-founder of PowerCorpsPHL, Julia Hillengas builds out partnerships and pathways to success with and for Philadelphia’s young people most affected by our systemic failures. Born and raised in Philly, Hillengas began her career in city government as a SERVE Philadelphia AmeriCorps VISTA with the Mayor’s Office of Education, where she coordinated and grew the Graduation Coach Campaign, an initiative to engage parents and families as partners in their children’s education. Hillengas has worked for over 15 years as an educator, coach, and community organizer. She holds a master's degree in Education from Temple University, was named a White House Champion of Change in 2015, an Echoing Green Finalist in 2016, and recently completed the University of Pennsylvania’s Center for Social Impact Strategy’s Executive Program. Betsy Hodges is the 47th mayor of Minneapolis. In her role as mayor, she focuses on three clear goals: running the city well, growing a great city and increasing equity. Her priorities are ensuring the city works well for everyone and that all people can contribute to - and benefit from - the growth and prosperity of Minneapolis. Some of Hodges' initiatives include: her Cradle to K Cabinet, creating a Zero Waste Minneapolis, improving police-community relations and helping small businesses thrive. Prior to becoming mayor in 2014, Hodges served on the Minneapolis city council for eight years as the council member from Ward 13. On the Council, she served as chair of the ways and means/budget committee and the intergovernmental relations committee. One of her major accomplishments was leading the fight to reform a broken closed-pension system that served neither the pensioners nor taxpayers well, which helped avert a $20-million increase in the property tax levy in 2012. 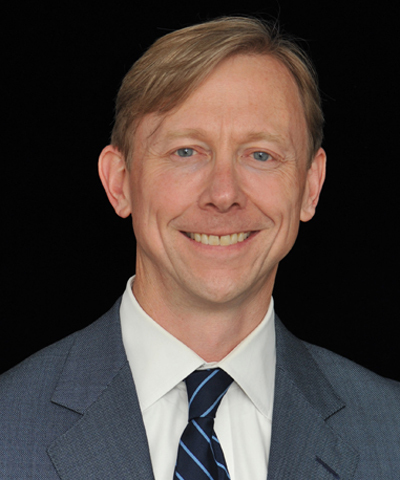 Brian Hook is the founder of Latitude, LLC, an international strategic consulting firm based in Washington, DC. In 2012, he co-founded the John Hay Initiative, which published “Choosing to Lead” in 2015. Hook served on the Romney campaign staff as senior advisor on foreign policy. From 2010-2011, he was the foreign policy director of Governor Tim Pawlenty’s presidential campaign. Hook held a number of senior positions in the Bush administration, including assistant secretary of state for international organizations; senior advisor to the U.S. Ambassador to the United Nations; special assistant to the President for Policy in the White House Chief of Staff’s office; and counsel, Office of Legal Policy, at the Justice Department. He practiced corporate law at Hogan & Hartson in Washington from 1999-2003. Heather Hurlburt directs the new models of policy change project at New America, where she leads exploration of how policy advocacy is adapting to political polarization, and guides advocates and funders seeking to navigate politics on behalf of policy. Hurlburt was among the thinkers and organizers who set out to reshape center-left foreign policy, and public perception of it, in the mid-2000s. She ran the National Security Network while it was the nation’s premier source for progressive foreign policy and messaging. Hurlburt served as a special assistant and speechwriter to President Bill Clinton, and as a speechwriter and member of the secretary’s policy planning staff for Secretaries of State Madeleine Albright and Warren Christopher. 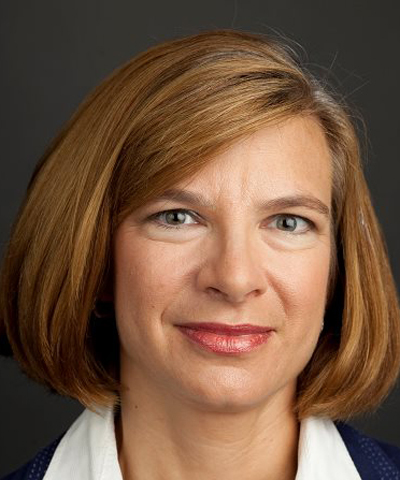 She also worked in Congress, served on the US Delegation to the Organization for Security and Cooperation in Europe, and has run programs at the Carnegie Endowment, Human Rights First, and the International Crisis Group. Shirley Ann Jackson, is the 18th president of Rensselaer Polytechnic Institute, where she has led an extraordinary transformation since 1999. Jackson, a theoretical physicist, has held senior leadership positions in government, industry, and research, as well as academe. In 2014, United States President Barack Obama appointed Jackson as co-chair of the President’s Intelligence Advisory Board. Jackson also serves on the U.S. Secretary of State’s International Security Advisory Board and the U.S. Secretary of Energy Advisory Board. From 2009 to 2014, she served on the President’s Council of Advisors on Science and Technology. Jackson is vice chair of the Board of Regents of the Smithsonian Institution, and serves on the boards of major corporations that include IBM and FedEx. Before taking the helm at Rensselaer, Jackson was chairman of the U.S. Nuclear Regulatory Commission from 1995 to 1999, appointed by President William Jefferson Clinton. Jackson holds a Bachelor of Science in physics and a doctorate in theoretical elementary particle physics, both from MIT. 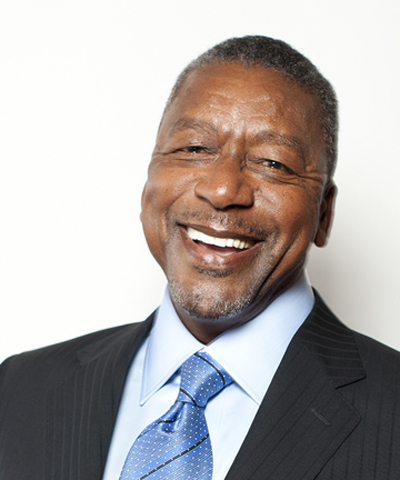 Robert L. Johnson is the founder and chairman of The RLJ Companies, the holding company for businesses operating in hotel real estate, private equity, consumer financial services, asset management, automobile dealerships, sports and entertainment, and video lottery terminal (VLT) gaming. Johnson is the founder of Black Entertainment Television (BET). In 1991, Johnson took BET public making the network the first African American company to be traded on the New York Stock Exchange. Johnson continues to attract and manage capital and create value for investors. In 2012, he announced the successful creation of RLJ Entertainment, Inc., a global entertainment content distribution company that exploits television, film, and other media across all platforms agnostically. RLJ Entertainment, Inc. marks the third time Johnson has successfully taken a company public. In 2011, he took RLJ Lodging Trust, a $2 billion market cap hotel real estate investment trust (REIT) public. President and CEO, Enterprise Community Partners, Inc.
Terri Ludwig is president and CEO of Enterprise Community Partners, Inc., a national nonprofit that creates affordable homes and strengthens communities across the United States. Enterprise has pioneered innovative neighborhood solutions, transformative policy, and community development financial products for over 30 years. Ludwig has over three decades of experience in investment banking and nonprofit leadership. She previously served as president of the Merrill Lynch Community Development Company, president and CEO of ACCION New York, and in several roles in the Structured Investment and Global Foreign Exchange groups at Credit Suisse and Merrill Lynch. Ludwig was a presidential appointee to the U.S. Department of the Treasury Advisory Board for Community Development and Financial Institutions, was named to Forbes Magazine’s first-ever "Impact 30 List," a roster of 30 of the world's leading social entrepreneurs, and was also named 2015 “Responsible CEO of the Year” by Corporate Responsibility (CR) Magazine. 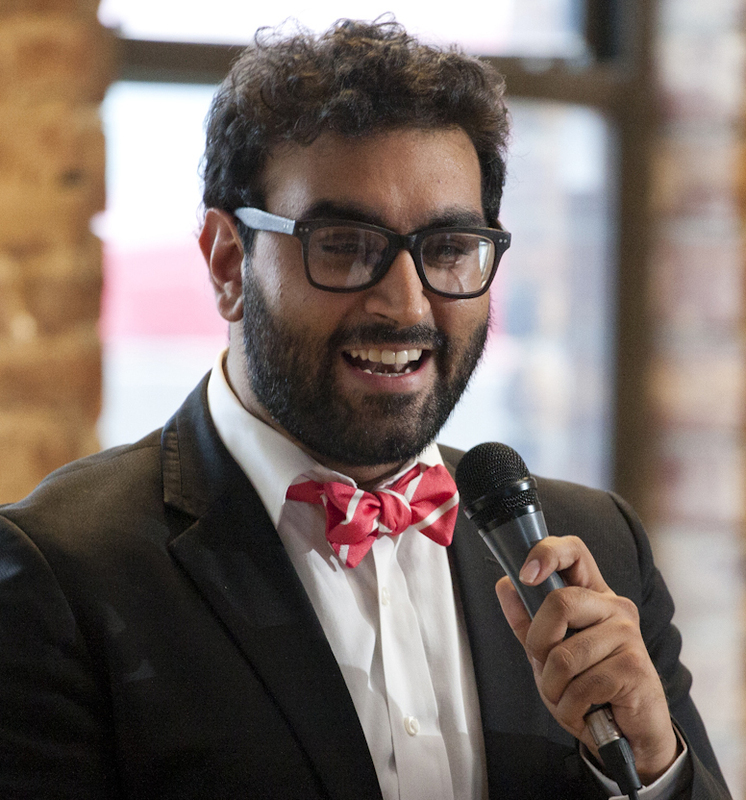 Rohit Malhotra is the founder and executive director of the Center for Civic Innovation in Atlanta, his hometown city. Malhotra's background is in social entrepreneurship, digital communications, open data and community organizing. Malhotra worked in leadership positions at Malaria NO MORE, Bono's ONE Campaign, the Democratic National Committee and the World Cup's 1GOAL Education for All Campaign. Most recently, Malhotra served as an Ash Innovation Fellow in the White House Office of Management and Budget, focused on the administration’s efforts around social impact bonds and pay for performance. In 2015, Malhotra was appointed to the board of directors of the Metro Atlanta Chamber of Commerce, where he is the youngest serving member in recent history. Malhotra earned his bachelor's degree from Emory University and master in public policy from Harvard University's John F. Kennedy School of Government, where he was elected student body president and was a teaching assistant in social entrepreneurship and American politics. Malhotra is a self-appointed expert on pizza and hip hop. U.S. Senator Joe Manchin (D-W.Va.) was sworn into the Senate on November 15, 2010 to fill the seat of the late Senator Robert C. Byrd. Senator Manchin was reelected to a full-term in 2012. 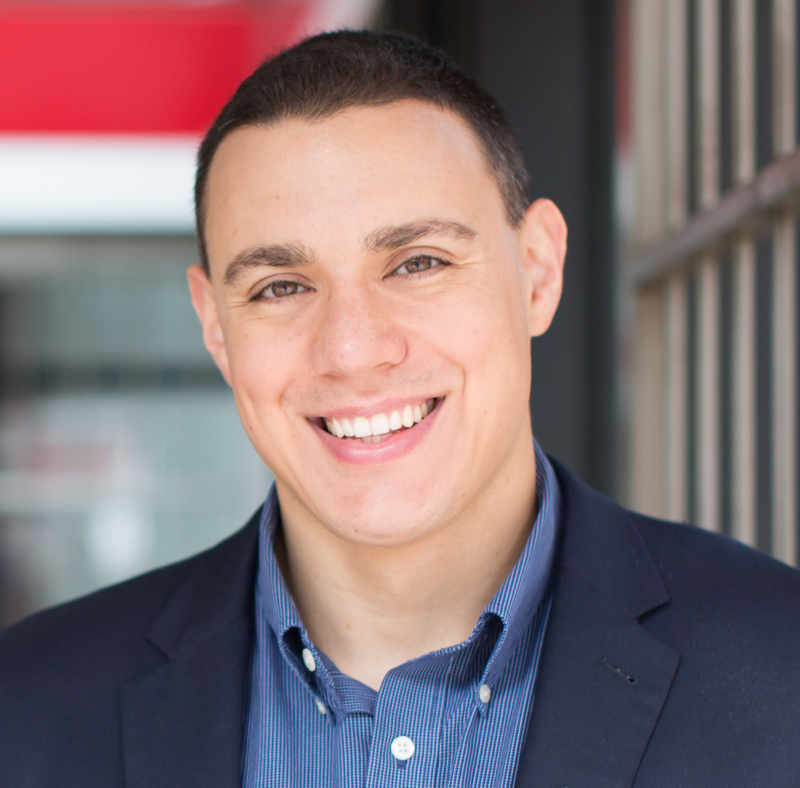 Jesse Martinez is the co-founder and co-chair of the Latino Startup Alliance, a non-profit supporting global Latino tech entrepreneurs and startup ecosystems. He is also the co-founder of AVION Ventures, the 1st pre-accelerator focused on Latina women working on a startup and based in San Francisco. Martinez co-founded along with his brother in 1998 one of the first U.S. online bilingual Latino communities (picosito.com) which was recognized by a U.S. Congressional Record by the House of Representatives in 1999 for their efforts around technology in Latino community. He was also the co-founder of his 2nd startup – Giggo, a groupon-like venture delivering their messaging all in Spanish, and the co-founder/COO of his 3rd startup - Relevance, where he served as the country director under the Startup Brasil Program. Martinez is also an advisor to several startups, for Hackers/Founders Co-op, for #YesWeCode, for SXSW 2016 Accelerator, TechCrunch 9th Annual Crunchies Board Member, for the Global EIR Coalition Community Advisor Committee Member. In addition, a 2014 Clinton Global Initiative Attendee, a team leader for the U.S. White House on Tech Inclusion, and a previous Board Member for MEDA (Mission Economic Development Agency). 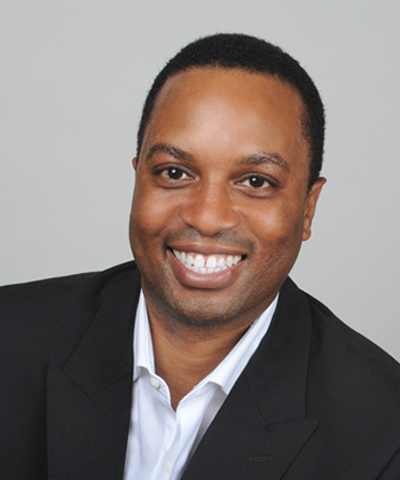 Michael McAfee, vice president for Programs at PolicyLink and co-director Promise Neighborhoods Institute at PolicyLink, has spent more than 20 years serving as a results-driven leader in the government, philanthropic, and human-service sectors. Most recently, he has lead cross-sector efforts to invest more than $700 million into our nation’s most distressed communities, building communities of opportunity from cradle to career. This has culminated in the Promise Neighborhoods program, which became a permanent federal program through the authorization of the Every Student Succeeds Act in 2015. As vice president for Programs, McAfee joins the Executive and Program Teams in strategic planning, policy development, policy campaign strategy, and programmatic design and implementation at the local, state, and national levels. He is on a journey to build a legacy grounded in equity – just and fair inclusion into a society in which all are fully participating, prospering and reaching their full potential. Patrick McCarthy is the president and CEO of the Annie E. Casey Foundation, a private philanthropy dedicated to helping build better futures for disadvantaged children in the U.S. He has focused throughout his career on reforming the public systems that serve vulnerable families, closing youth prisons and creating economically inclusive and family-supporting communities. McCarthy is co-chair of Baltimore’s Promise, serves on the executive committee for both Living Cities and the East Baltimore Development Initiative and on the boards of Community Wealth Partners, the Foundation Center, One Baltimore, the Baltimore Community Foundation and Bryn Mawr College. Prior to becoming president and CEO, McCarthy was the Foundation’s senior vice president. In that capacity, he oversaw work in the areas of health, juvenile justice, education, early childhood, youth development, child welfare and income security. McCarthy has a doctorate in social policy from the Bryn Mawr College Graduate School of Social Work and Social Research and an honorary doctor of laws degree from Montclair State University. Kent McGuire is the president and CEO of the Southern Education Foundation (SEF) in Atlanta, GA. Prior to joining SEF, McGuire served as Dean of the College of Education at Temple University, held positions as senior vice president at MDRC, assistant secretary of education during the Clinton administration, education program officer for the Philadelphia-based Pew Charitable Trusts and the education program director for the Eli Lilly Endowment. McGuire received his doctorate in public administration from the University of Colorado, his master's degree in education administration and policy from Columbia University Teacher's College, and his bachelor's degree in economics from the University of Michigan. Ellen Meara is a professor of health Policy and clinical Practice at Dartmouth’s Geisel School of Medicine, a faculty director of Dartmouth’s Master of Health Care Delivery Science and a faculty research fellow at the National Bureau of Economic Research. She is a co-editor of the Journal of Health Economics. After receiving her PhD in Economics from Harvard University in 1999, Meara served on the faculty at Harvard Medical School before joining Dartmouth in 2010. Meara’s research focuses on non-medical determinants of health care use, health, and employment. This work examines how non-clinical factors like education, the design of public insurance programs, and legal policy shape health care, health, and employment. Meara’s research has been published in the Journal of the American Medical Association, the New England Journal of Medicine, the Journal of Health Economics, Health Affairs and numerous other publications. 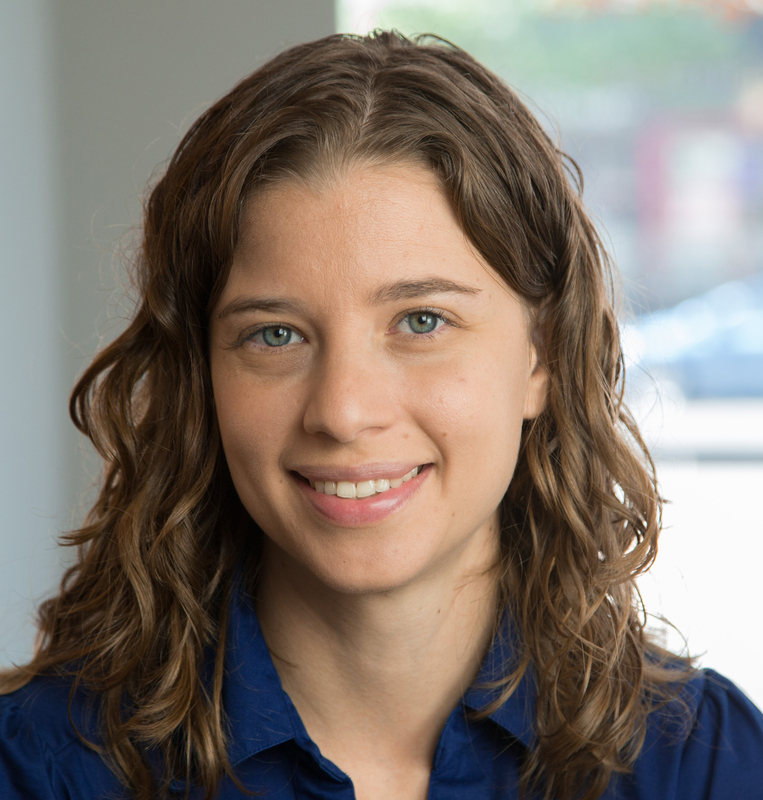 Leslie Miley is a director of engineering at Slack. He began his tech addiction hacking set top boxes and doing programming at computer stores to stay out of trouble. He has helped to build some of the most recognizable products of the past 10 years and has gone on to lead engineering teams at Yahoo, Google, Apple and Twitter. He serves as an adviser to several startups founded by women and minorities and is an investor in a fund dedicated to diverse entrepreneurs. Hala Moddelmog has successfully served in president and CEO roles for more than 20 years. 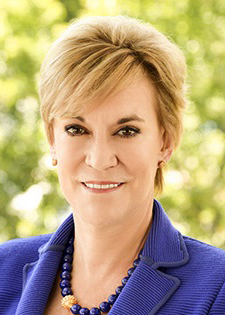 Moddelmog became the first female president and CEO of the Metro Atlanta Chamber (also known as MAC) in January 2014 following a long and successful career in the corporate and non-profit sectors. Moddlemog's stewardship of the Metro Atlanta Chamber is to ensure MAC serves as a catalyst for a more prosperous and vibrant 29-county metro Atlanta region. MAC also oversees the new Choose ATL movement, created to position Atlanta as a top-tier market to attract and retain young talent. Moddlemog resides in Atlanta with her husband, Steve. They have two adult children. Janet Murguía is president and CEO of the National Council of La Raza (NCLR), the largest national Hispanic civil rights and advocacy organization in the U.S.
Murguía has spoken at the conferences of the National Urban League and NAACP, and keynoted the Martin Luther King, Jr. Unity Breakfast in Alabama. Additionally, Murguía received the Hubert H. Humphrey Civil and Human Rights Award from the leadership conference on civil and human rights. Murguía began her career in Washington, D.C., as legislative counsel to former Kansas Congressman Jim Slattery. She then worked at the White House from 1994 to 2000, ultimately serving as deputy assistant to President Clinton. Murguía grew up in Kansas City. She received three degrees from the University of Kansas: a bachelor’s degree in both journalism (1982) and Spanish (1982), and a Juris Doctor (1985) from the School of Law. In 2011, she received an honorary degree from California State University, Dominguez Hills. Lisa Nutter is president of Philadelphia Academies, Inc., a non-profit youth development organization that partners with Philadelphia’s public high schools to provide career-based learning, college readiness support, and positive adult networks that motivate young people to graduate and prepare them for the 21st century economy. Her work has focused on approaches that best support young people in their transition to adulthood. She actively advocates for, and her organization implements, instruction that links learning to the real world and promotes youth resiliency. An American by choice, Eduardo J. Padrón arrived in the United States as a teenage refugee in 1961. Since 1995, he has served as president of Miami Dade College (MDC), the largest institution of higher education in America with more than 165,000 students. He is credited with elevating MDC into a position of national prominence among the best and most recognized U.S. colleges and universities. An economist by training, Padrón earned his doctorate from the University of Florida. Padrón’s energetic leadership extends to many of the nation’s leading organizations. He is the past chair of the board of directors of the American Council on Education and of the board of the Association of American Colleges and Universities. He serves on the boards of the Council on Foreign Relations, Achieving the Dream, Inc., and is the chairman of the Business-Higher Ed Forum. He has been appointed to key national posts by six American Presidents. He is a prolific writer and has more than 15 honorary doctorates. Thomas E. Perez, is the nation's 26th secretary of labor, and civil rights lawyer by training. Under Perez's leadership, priorities for the department include raising the minimum wage, expanding overtime protection, and being smarter and more strategic in the department's enforcement of federal law. Perez has made job training and workforce development a focal point of his tenure. With historic investments in community colleges and apprenticeships, and the department's implementation of the bipartisan Workforce Innovation and Opportunity Act. During his tenure, Perez has collaborated private-sector employers, labor unions, nonprofits and foundations to build a broad coalition and forge lasting partnerships to address inequality and create shared prosperity. Notably, President Obama tapped Perez to assist with a months long dispute at the West Coast ports, where he helped broker a deal between labor and management that enabled the ports to resume operations. Perez is a graduate of Brown and Harvard University. Rachel Peric is the deputy director of Welcoming America, a national nonprofit that works to create more prosperous communities where all individuals – including immigrants – have the opportunity to participate and thrive. Prior to Welcoming America, she served as executive director of the Montgomery Coalition for Adult English Literacy (MCAEL), a capacity building and advocacy organization supporting adult ESOL and literacy programs in suburban Washington, DC. Her career includes work spanning a number of community building issues at the local and international level, including serving as a regional director with the United Way of the National Capital Area and managing international development programs with a private consulting firm, Management Systems International (MSI). Peric holds a bachelor’s degree in international studies from Johns Hopkins University and a master’s degree in public management from the University of Maryland. Co-founder and COO, Kabbage, Inc.
Kathryn Petralia has spent the past 20 years working with startups and established companies focused on credit, payments, technology and e-commerce. Petralia co-founded Kabbage in 2009, and Kabbage has since provided more than $1.5 billion to SMBs through a fully-automated platform that allows customers to apply in minutes. Kabbage also partners with global financial institutions to provide that same experience worldwide. Prior to Kabbage, Petralia was with Revolution Money, an Internet-based credit card, where she was vice president of Strategy. Before Revolution, Petralia was a corporate development executive with CompuCredit Corporation. She spent the early dotcom years with several Internet startups. Petralia holds a bachelor's degree in english literature from Furman University. Adrianna Quintero is the director of Partner Engagement for the Natural Resources Defense Council (NRDC) and executive director of Voces Verdes. Quintero has been committed to working with allies and underrepresented communities throughout her career, and recognizes the importance of working in partnership, engaging diverse voices and broadening networks to achieve the best outcomes for sustainability, progress and health for communities. Quintero was named one of Poder Magazine’s “100 Green Leaders” in 2013; one of The Huffington Post’s 10 Leaders “Who Are Reshaping The Environmental Movement” in 2015; and one of Grist Magazine's “50 People You'll Be Talking About” in 2016: the innovators, organizers, and visionaries who will lead us toward a more sustainable future, in the coming year (and beyond). Quintero launched NRDC’s Latino engagement efforts in 2004, and in 2008 founded Voces Verdes, a national coalition of Latino business, health, community leaders and organizations representing millions of Latinos calling for action on climate change, clean energy and sustainable communities. 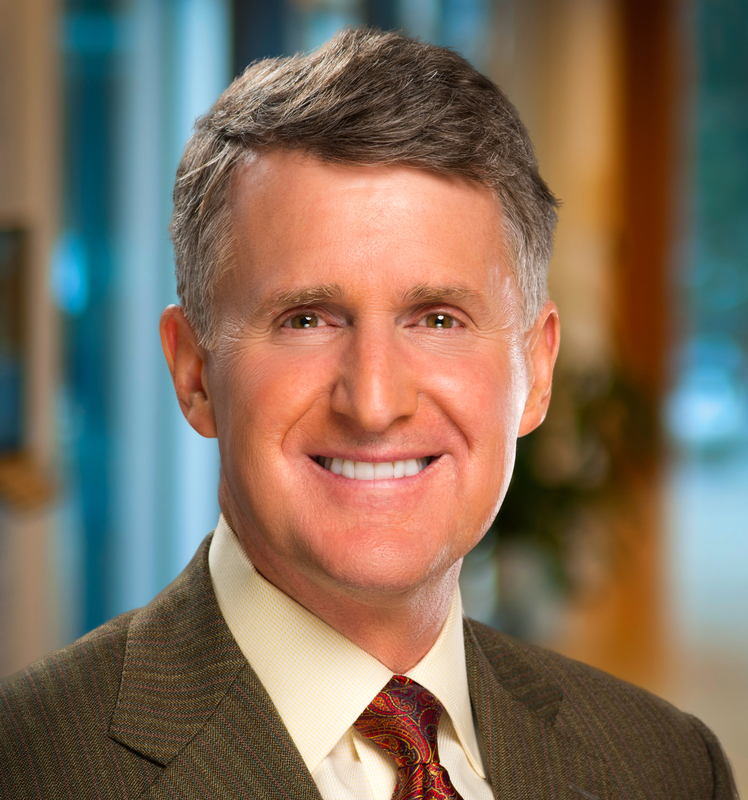 Rip Rapson is president and CEO of The Kresge Foundation, a $3.5 billion private, national foundation dedicated to expanding opportunities for vulnerable people in America’s cities. Since 2006, Rapson has expanded Kresge’s grant-making and investing tools to improve the economic, social, cultural and environmental conditions of urban life across the nation and in Kresge’s hometown of Detroit. In 2013, the foundation made grant and investment commitments totaling nearly $140 million. A 40-year veteran of public policy and philanthropic leadership, Rapson’s experience includes civic administration, private law practice and strategic foundation governance. Rapson's work has elevated many public issues including early childhood development, urban revitalization, environmental preservation and arts and cultural support. Rapson is active in his profession and in his community serving as a board member for ArtPlace America, Living Cities, Local Initiatives Support Corporation (LISC), Detroit RiverFront Conservancy, Downtown Detroit Partnership and M-1 Rail. 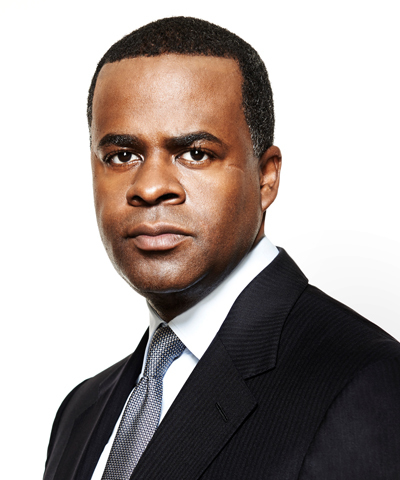 Kasim Reed is the 59th Mayor of the City of Atlanta. Elected with a clear mandate for fiscal reform, Reed has increased core city services and reduced the city’s spending during the worst recession in 80 years. Since taking office, he has hired more than 900 police officers and created the largest force in the city’s history, re-opened all of the city’s recreation centers and improved fire-rescue response times. Reed began his term facing a $48 million budget shortfall; under his leadership, the city has had six years of balanced budgets with no property tax increases, and its cash reserves have grown from $7.4 million to more than $150 million. Prior to his election, Reed established a track record of leadership during his 11 years as a member of the Georgia General Assembly. Reed is a graduate of Howard University in Washington D.C.
Kevin Riley is the editor of The Atlanta Journal-Constitution, a position he was named to in January 2011. Riley is a long-time employee of Cox Enterprises, having started his career in 1983 at the Dayton Daily News in Ohio. During his time in Atlanta, Riley has led a rejuvenation of the Journal-Constitution with an emphasis on investigative and watchdog journalism. Shirley Sagawa is president and CEO of Service Year Alliance and founder of the Service Year Exchange, a technology platform for full-time service. She is a Center for American Progress fellow, teaches social innovation at Georgetown, and has advised foundations and organizations. Sagawa served as deputy chief of staff to first lady Hillary Clinton, drafted the AmeriCorps legislation, and served as founding managing director of the Corporation for National and Community Service. She was appointed by President George H.W. Bush to the Commission on National and Community Service. She has also served as founding executive director of the Learning First Alliance, senior counsel to the National Women’s Law Center, and chief counsel for Youth Policy for the Senate Labor Committee. Sagawa authored "The American Way to Change' describing service as a strategy, "The Charismatic Organization" on building strong nonprofits, and "Common Interest, Common Good: Creating Value through Business and Social Sector Partnerships." Adva Saldinger is the associate editor of Devex Impact, where she covers the intersection of business and global development. While she covers the role of the private sector and private capital broadly, she has a particular interest in innovative finance and entrepreneurship. Prior to joining Devex she spent time in Ghana ghostwriting a book and has reported for various daily newspapers in the U.S. and in South Africa. Founder of The Empowerment Plan, a Detroit-based social enterprise, Veronika Scott has built an organization that began around a single idea: to design a coat that transforms into a sleeping bag for homeless people. That idea has now transformed into a system of empowerment that creates jobs to permanently lift people out of poverty. The production staff, which is composed of previously homeless women and men, has proven that Empowerment Plan is radically changing workforce development. Each employee is paid to learn how to produce the coat, employed full time, and is also provided with supplemental education programming. Scott is the youngest recipient of the JFK New Frontier Award and received an honorary doctorate from Johnson State College. She is a winner of the IDEA Gold Award, the Diane von Furstenberg People’s Voice Award, and has been named one of Forbes 30 Under 30, Chronicle of Philanthropy's 40 Under 40, and CNN’s 10 Visionary Women. Laura Sparks is executive director of the William Penn Foundation, a $2.4 billion private foundation serving our nation’s 5th largest city and the region that surrounds it. Under her guidance, the foundation launched and refined its new strategic priorities, focusing on urban education for economically disadvantaged children, protection of the water resources serving 15 million people across four states, development of world-class urban parks and trails in under-served communities, and cultivation of a vibrant cultural sector. Prior to joining William Penn, Sparks served as director of development finance initiatives at Citi, creating and implementing community development strategies at local and national levels. Before Citi, Sparks was senior vice president of financial services at Opportunity Finance Network – a national nonprofit serving local community development financial institutions across the country. Sparks earned her doctorate from University of Pennsylvania Law School, a Masters of Business Administration from University of Pennsylvania’s Wharton School and bachelor's degree in philosophy from Wellesley College. Steven A. Sugarman is chairman and CEO of the Banc of California, Inc. a New York Stock Exchange traded financial holding company, and its national banking subsidiary Banc of California N.A. Banc of California is a $10 billion bank holding company with over 100 banking and lending locations in California and across the West. Sugarman led the recapitalization of the company in 2010. Under his leadership, Banc of California was recently recognized as one of Forbes Magazine’s Top Banks in America for 2016. It is the largest independent bank in California with an “Outstanding” rating from the Office of the Comptroller of the Currency for Community Development. Sugarman is a graduate of the Yale Law School and Dartmouth College. He is a member of California State Bar and co-author of "The Forewarned Investor: Don't Get Fooled Again by Corporate Fraud," published by Career Press. Alex Taylor is executive vice president for Cox Enterprises, a leading communications, media and automotive services company. He oversees Cox’s long-term investment and growth strategies. Taylor is a fourth-generation member of the Cox family and serves on Cox’s board of directors. Taylor previously served as senior vice president of field operations for Cox Communications, the company’s broadband and cable subsidiary that serves six million customers. Prior to Cox Communications, he was executive vice president of Cox Media Group. He oversaw its television, radio, newspaper and digital properties in Atlanta, Alabama, Ohio and Texas. Taylor chairs American Rivers’ board of directors and is a board member for Food Well Alliance and PATH Foundation. He authored the book “The Longest Cast: The Fly-Fishing Journey of a Lifetime.” Taylor received a bachelor's degree in science with a focus on human and organizational development from Vanderbilt University, and he serves on their board of trust. 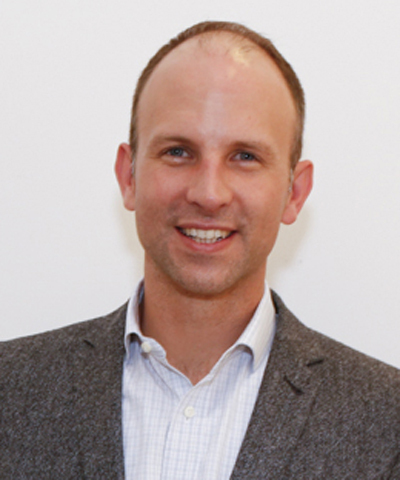 Jason Walsh is a senior policy advisor in the Executive Office of the President, working on issues at the intersection of the Obama administration's climate, energy and economic policies. He was previously the director of the Office of Strategic Programs at the Energy Department's Office of Energy Efficiency and Renewable Energy. Prior to joining the administration in 2012 he held senior positions with a number of non-governmental organizations working on issues of clean energy, economic and workforce development, and poverty alleviation, including: director of policy and strategic partnerships at the BlueGreen Alliance; national policy director at Green For All; and state policy director for The Workforce Alliance. Walsh holds a master’s degree in public policy from the University of Minnesota and a Bachelor of Arts from the University of Washington. Theia Washington Smith serves as the executive director of the City of Atlanta’s Women’s Entrepreneurship Initiative (WEI). This newly launched initiative provides opportunities for entrepreneurial advancement and small business sustainability for women entrepreneurs in Atlanta. Smith oversees the totality of services offered by WEI, including the development and operational structure of its incubator – a best-in-class collaborative work space designed to house and curate young businesses, and empower them with the resources needed to fortify their growth, longevity and success in Atlanta’s entrepreneurial ecosystem. Smith works collaboratively with Atlanta Mayor Kasim Reed and the WEI advisory board, a team of some of Atlanta’s most influential business leaders, to galvanize synergistic support from the public, private and education communities aimed at leveraging the initiative’s objectives. Smith’s leadership includes developing innovative strategies to position WEI as a vanguard of education, outreach and engagement to emerging business owners and future entrepreneurs, particularly minority women and women in underserved communities. Randi Weingarten is president of the 1.6 million-member American Federation of Teachers (AFT), AFL-CIO, which represents teachers; paraprofessionals and school-related personnel; higher education faculty and staff; nurses and other healthcare professionals; local, state and federal government employees; and early childhood educators. The AFT champions fairness; democracy; economic opportunity; and high-quality public education, healthcare and public services for students, their families and communities. The AFT and its members advance these principles through community engagement, organizing, collective bargaining and political activism, and especially through members’ work. 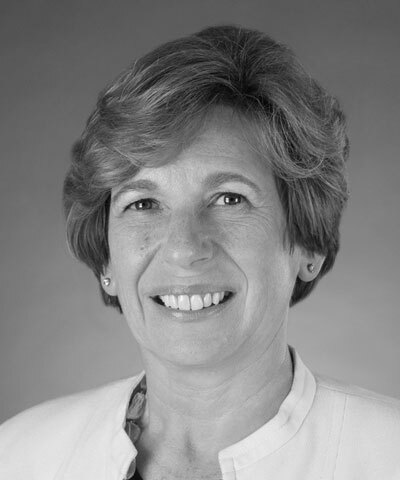 Weingarten has launched major efforts to place real education reform high on the nation’s and her union’s agendas. She promotes what she calls “solution-driven unionism”—an approach to collective bargaining and collective action that unites the interests of union members and those they serve in the pursuit of solutions that benefit students, schools and communities. Under Weingarten’s leadership, the AFT continues to grow and expand its voice as a union of professionals. Weingarten’s column “What Matters Most” appears in the New York Times’ Sunday Review the third Sunday of each month. 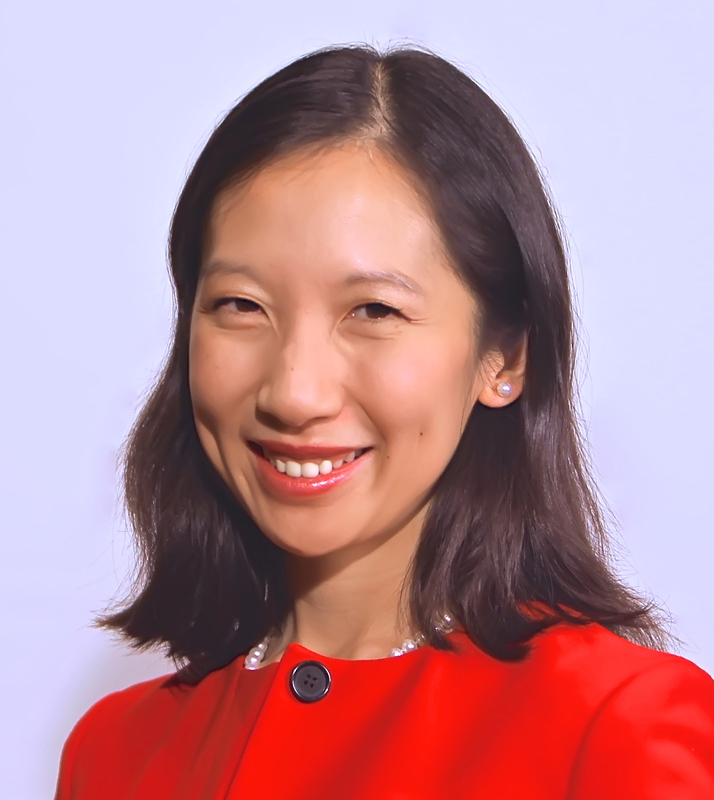 Since taking the reigns of America’s oldest health department, Leana Wen has been re-imagining the role of local public health. Wen has engaged returning citizens in violence prevention and launched an opioid overdose prevention program that is training every resident to save lives. Following the civil unrest in April 2015, she directed Baltimore’s health and trauma recovery efforts. A board-certified Emergency Physician, Wen received her medical training at Washington University and Brigham & Women’s/Massachusetts General Hospitals. She was a Rhodes Scholar, a consultant with the World Health Organization, and a professor and Director of Patient-Centered Care Research at George Washington University. The author of "When Doctors Don’t Listen: How to Avoid Misdiagnoses and Unnecessary Tests", Wen has published over 100 articles on health system reform including in The Lancet, JAMA, and Health Affairs. Her TED talk on transparency in medicine has been viewed over 1.5 million times. Marian Wright Edelman, founder and president of the Children's Defense Fund, has been an advocate for disadvantaged Americans for her entire professional life. A graduate of Spelman College and Yale Law School, Edelman was the first black woman admitted to the Mississippi Bar and directed the NAACP Legal Defense and Educational Fund office in Jackson, Mississippi. Edelman has received over a hundred honorary degrees and many awards including the Albert Schweitzer Humanitarian Prize, the Heinz Award, a MacArthur Foundation Prize Fellowship, the Presidential Medal of Freedom, the nation’s highest civilian award, and the Robert F. Kennedy Lifetime Achievement Award for her writings.